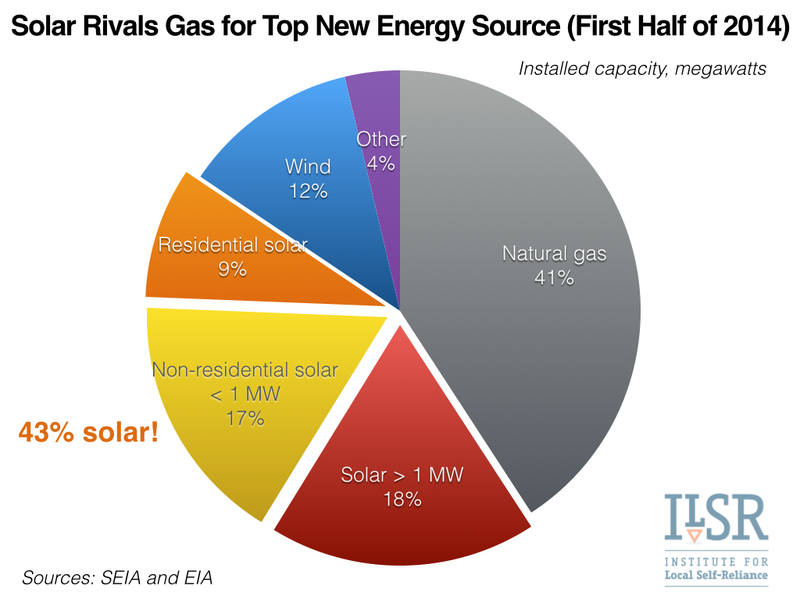 Want proof that distributed solar is rapidly growing? 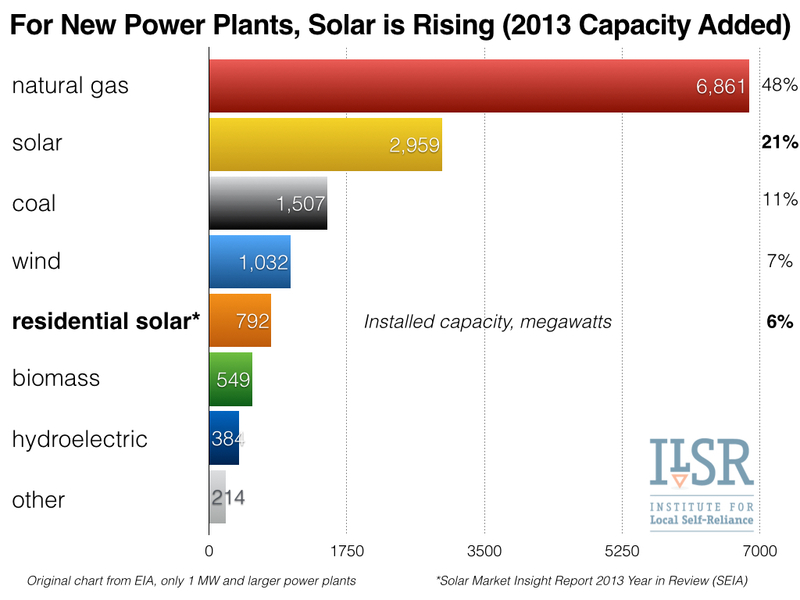 Look no further than these two charts, showing how solar provided over a quarter of new power plant capacity in 2013 (6% from residential solar alone!) and 43% in the first half of this year!